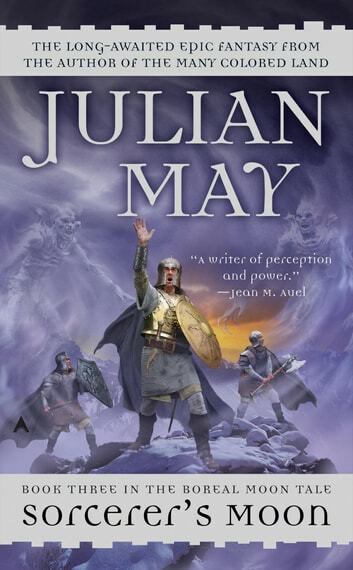 Julian May concludes her Boreal Moon Tale with the story of a weak king forsaken by his heir, a son who cannot condone his father’s ruthlessness, and a kingdom facing collapse by forces from without and within. The Salka are launching an audacious attack to seize the heart of High Blenholme, and King Conrig, his magical powers and sanity fading, is once again preparing to use the foulest Beaconfolk sorcery to counter the monsters’ massive invasion. 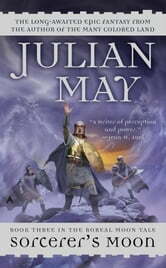 As his kingdom faces collapse, King Conrig’s only chance for peace lies deep in the past. His former spy, Deveron Austrey, has secret magical powers—and no love for the Beaconfolk. But while the King’s first wife is largely unremembered, she has not forgotten that her son Orion is the true heir to the throne of High Blenholme.